Club Penguin Cheats by Mimo777 Club Penguin Cheats by Mimo777: I got some Club Penguin Mystery Pins From Disney World CONTEST! I got some Club Penguin Mystery Pins From Disney World CONTEST! Yep, that's right, Mimo and the Club Penguin Gang took a little trip to Disney World! It was awesome! Have you ever been there? Anyways, we looked for Club Penguin stuff at Disney World but really didn't find too much. That was weird. I wonder why they don't promote Club Penguin more? But we did find these Club Penguin Mystery Pins! So let's have a contest! Which two pins do you think we got?! 1. Leave a comment and tell us which two pins are in our box. 2. Put the number and the Club Penguin Character in your comment. 5. If you don't obey the rules we will not post your comment. 6. The wiener is the one who is the FIRST to guess BOTH PINS CORRECTLY! 7. The big wiener will get a secret party with MIMO777! YEAH! Good luck and start guessing! More about our trip to Disney soon! Watch for details on Mimos Influence Project party! I guess it's 7 camera penguin, and 4 space penguin. Hi Mimo! My name is Juanmita1. I think that the secret pins are number 5: the scuba diver penguin, and number 8: the penguin ghost. Are they OK? I have soo many of those codes and pins! I have at least 2 of everyone expect the Rockhopper one, which I think is the rarest. By the way Mimo, did you shop in Downtown Disney? They have MANY club penguin toys there. 3 the princess and 9 the mickey penguin. I guess Number 7, the camera penguin and Number 3, the princess penguin! 2 - Rockhopper and 6 - Shadow Guy. did you unlock the code yet? Cuz when I went and got them, and unlocked the code, you get a Disney CASTLE pin. And when I went, i got numbers 2 and 9 the most. or you could have gotten 6 and ten. Those are just what came in mine when I went. And yes, I got all mine from Downtown Disney. I think they are 2 Rockhopper and number 5 Diver. My penguin is Charguy. I think you got rockhopper #2 and the fairy #3. I think 2, Rockhopper, and 9, the red mickey hat camera guy! Hi mimo,My name is Karate728.I think the secret pins are number 2: rockhopper, and number 5 the scuba diving penguin.Hope its these ones. See ya mimo! I think 2 - Rockhopper and 8 - Ghost. Hi Mimo! i think it is 1 (the lanyardd pin) and 9 the mickey mouse guy (orange). I guess the Ghost(8) and Rockhopper(2). This is so epic i need to party with mimo! i think its 4 (astronaut) and 8 (ghost). I think it's number 4, the space penguin and number 9, camera penguin. i think it is 2 rockhopper, and 8 ghost. I guess that it's number 7, the photographer penguin, and number 10 the rocker penguin. I Figured out that there are 45 gueses. I honestly think that numbers 2 Rockhoppa and 10 Rocker Penguin. Good luck to everyone! I hope those are right! That's cool that u got to go. Here's hoping i guesses correctly! I'm gunna guess 2 rockhoppen and 7 camera penguin! you got number 3 fairy girl and 8 ghost dude. Also, did you all go?Like you met each other? ?IF so, COOL! I think its 2 rockhopper and 7 photogropher. 9. the Red Penguin with Mickey Mouse Ears! Number: 3 - fairy princess? I ( really )hope that is right!! 6 (Superhero Penguin) and 8 (Ghost Penguin) Hope I guessed it right! My guess is that it is #1 the lanyard penguin and #7 the camera mickey mouse one! and Number 10 Rocker. Hope I Won!! 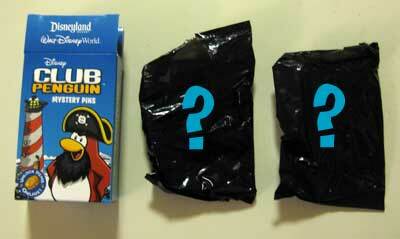 I'm guessing #5 the scuba diver penguin, and #10 the blue rocker penguin. I think you got the number 5scuba penguin and number 6 superhero penguin. Darn it! I can guess, but if I win, I can't party with you, Mimo. :( I don't have a google acount or anything like that. So I have to comment un-secretly. If you know what I mean. Unless you have a person tracker, like where they live and stuff like that(but I don't know if they have it) I really sorry. Hey Mimo! I think the pins are 2: Rockhopper and 10: The rock penguin. Hey mimo i think its #1 the blue penguin and #2 rockhopper hope i win your the best mimo!! keep up the good work!! i guess #3 the princess and #8 ghost penguin, just cuz they are Halloweeny. hope i win! I thing in the first bag is #1, The blue penguin with the Club Penguin Logo. Bag #2 is 10, the rocker penguin. My Penguin Name "Rotom555"
6 and 10 i think! =D the Shadow Guy and the Rocker Dude. #1 The blue Penguin and the Camera Guy number 7. The blue penguin with the CP Logo #1. Hi! It is number 1 the blue penguin and number 4 the astronaut penguin. Im going to go with the Camera Penguin (7) and the Rocker Penguin (10). Hi Mimo (and the rest of C.P.G)im Mr Peanut and im guesing the pins are 2 (Rockhopper) and 5 (THe suba diver). Allthough someone has probably won here is my answers! 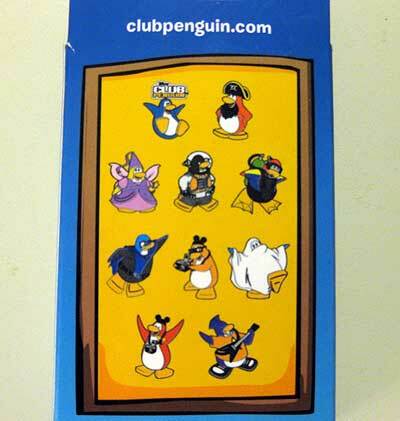 I think the secret pins are number 1: the Club Penguin penguin, and number 4 the space penguin. O wait! number 8 is te ghost penguin Oops!My bad! I reckon it's number 1 and number seven, the 'CLUB PENGUIN' one and the 'PHOTOGRAPHER one. My Club Penguin account is Cherry1391. I think its 6 shadow guy and 2 rockhopper. Hope i win. 7 the yellow penguin that has glasses on and it taking a picture. 9 the red penguin that has a camera over his neck. I guess it is 4-space penguin and 5-super penguin. Hi Mimo I have 2 packs of those pins wich I got at magic kingdom and i think you got 1 (blue penguin with words) and 10 (the rockstar). i think it's 8ghost penguin and 10 rocker penguin. I guess it's 9 camera penguin, and 4 space penguin. I guess its the 6: Shadow guy and 8: the ghost penguin. I guess 10, rocker penguin and 4, space penguin. Sorry forgot, 1 the club penguin sign and 5 the scuba diver. There is also puffle pins but they're all in one pack. I think 7 Camera Penguin, and 3 Fairy Princess. I guess it's 9 shadow guy and 9 orange tourist penguin. Hi Mimo! My name is Shanaynai99! 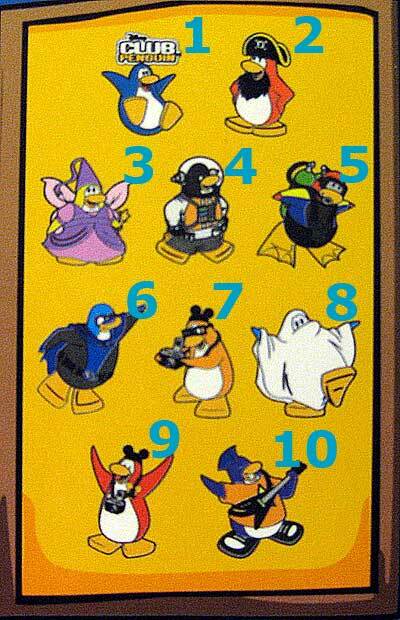 I think that the secret pins are Number 3- the Fairy penguin, and Number 8- the ghost one!!!! Hope those are right or close! I think that it is #7 the mild mannered reporter and #8 Which is the ghost. 8 the ghost and 9 the micxy mouse penguin. I think it's 10(Rock Star) and 1 (Penguin with CP logo) Hope I win! I have a question: what if when we posted a comment we said a guess, then we saw another comment that was recently moderated and ours is not yet moderated??? Can I pick again??? Hmmm. I think it's number 10 rock star and number 8 ghost. Ok, since a comment has the same guess as mine, and that comment wasn't there before, can I pick again? If I can't, then I'm disqualified, I know. But I will risk myself. 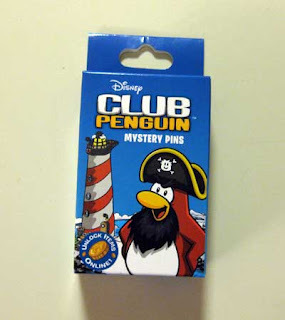 I Guess that The Pins thatyou bought are the rockhopper pin nr. 2 and the princess pin number 3. Wish me luck! I really want to win that party! i think its the ghost penguin 8. and number 9 the mickey camera penguin. Wow, you are so lucky. I'd have to get a PLANE if I wanted to go to Disney Land. Does anyone know if you can order the pins online? Hey, I guess its 2 RH and 6 SG. I think 2, rockhopper and 8, the ghost. I think it is number 3-fairy penguin and number 7-camera penguin.My name is diego2310. I think you got 3- the fairy penguin and 8- the ghost penguin! Sorry but i saw that someone already said what i wanted and if i can here is my other idea:number 1-club penguin sign and number 8-ghost penguin.My name diego2310. I guess 2 and 6. Rockhopper and Shadow Guy. I thinks its 6 Shadow Guy and 2 Rockhopper. maybe i would've entered if the prize was better -_- like a code maybe?? I guess it's 4 space penguin, and 8 ghost penguin. My name is Mr Cockroach and my guesses are 3- Fairy and 4-Space Man. oops i posted an anymous comment a minuete ago and forgot to put my penguin name. there we go, my penguin name is Flumade Dude. 1 jumping penguin and 4 space penguin. I think that it is 5 the sonrklner penguin and 8 the ghost penguin.